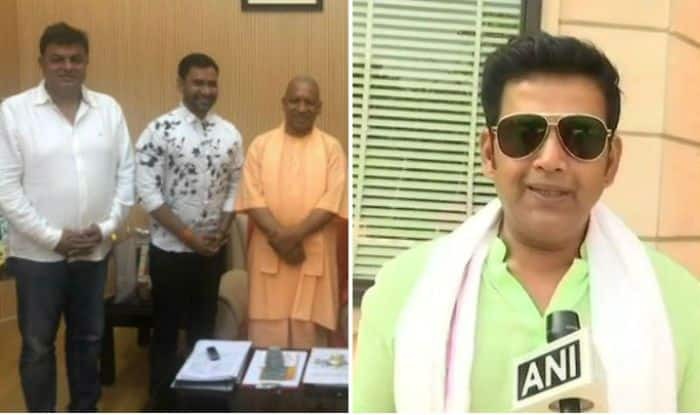 Bhojpuri superstar Dinesh Lal Yadav aka Nirahua and megastar Ravi Kishan recently met Uttar Pradesh Chief Minister Yogi Adityanath. The meeting went for long 15 minutes and as per the speculations, Ravi will be contesting the elections from Gorakhpur and Nirahua will be contesting from Azamgarh during the Lok Sabha elections 2019. As per the sources, both the actors have joined BJP. For the uninitiated, Nirahua is a popular face in the Bhojpuri industry. He made his debut in the industry with Chalat Musafir Moh Liyo Re and since then there is no looking back for the actor-singer. He has given many blockbuster hit films in his career such as Nirahua Hindustani, Patna Se Pakistan, Nirahua Hindustani 2, Bam Bam Bol Raha Hai Kashi and Border. Ravi Kishan, on the other hand, is a popular Indian actor and television personality. He is known for his work in Bollywood and Bhojpuri cinema. He has also worked in several regional films such as Telugu, Kannada and Tamil. Kishan also joined Congress in 2014 and contested general elections from Jaunpur district. In 2017, he left Congress and joined the BJP.